Neutrogena Ultra Sheer Fluid SPF 50 Facial Sunscreen Review | LIPS n BERRIES! 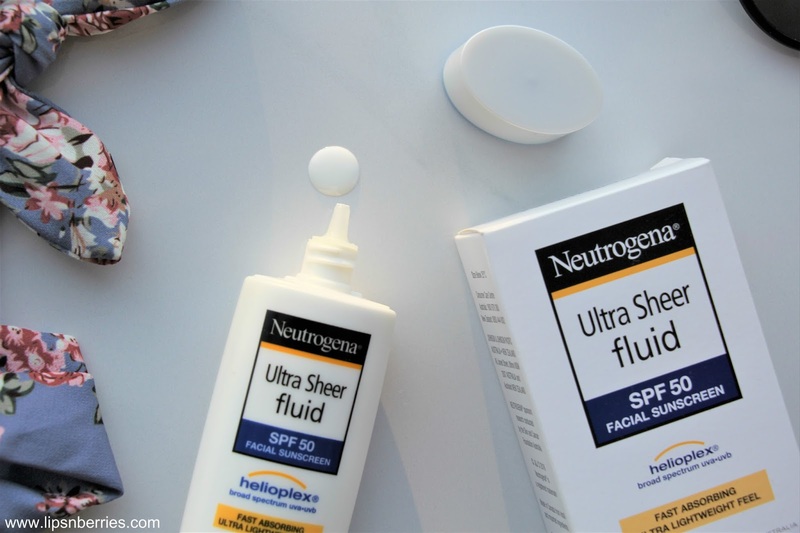 Are you forever looking for sunscreen that can be used under makeup? I know I am. And I had kinda given up. Most leave an oily sticky film, some give white cast, others ball up when layered with makeup, almost all of them feel heavy and take forever to sink into skin. Guess what! I found a sunscreen that does none of that. I tried this sunscreen the very day Neutrogena sent it to me because I'm always on a look out for sunscreen that is hassle free. I literally have 5 minutes to put up my face in the morning. 5 minutes! Moisturiser, sunscreen, sheer foundation, powder, blush, curl eye lashes, done. This is me every morning. I can't be waiting for my sunscreen to sink in while Auckland Motorway is collecting traffic by the minute. 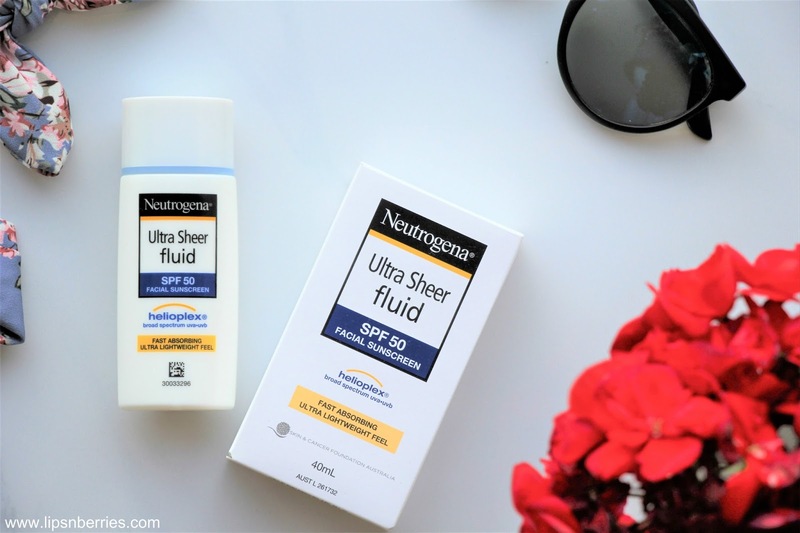 Neutrogena Ultra Sheer Fluid Sunscreen works for me. It is so unbelievably light, almost water consistency. The squeeze bottle is amazing as I can control how much I need. 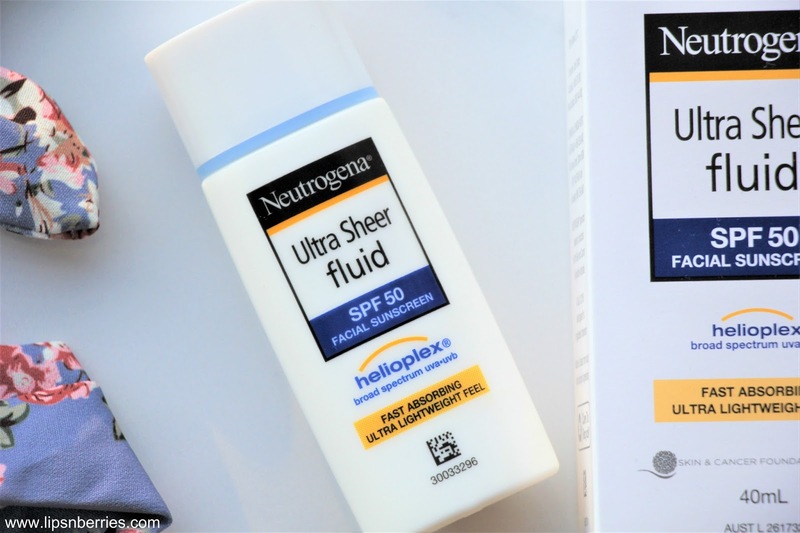 The sheer fluid sunscreen is true to its name. Its sheer and fast absorbing. With SPF 50 rating & broad spectrum UVA/UVB protection, I know I'm sorted for a good few hours. I can put my foundation on after a few seconds and there's no sticky feel. Even during the day, my face doesn't get any unwanted shine. I'm truly amazed. I have dry skin. The sunscreen doesn't cause any more dryness. Its sets matte so I feel it'll be suitable for a lot of skin types. For those in the know, this is a chemical sunscreen with active ingredients Butyl methoxydibenzoylmethane, Homosalate, Octyl Salicylate, Octocrylene and Oxynezone. 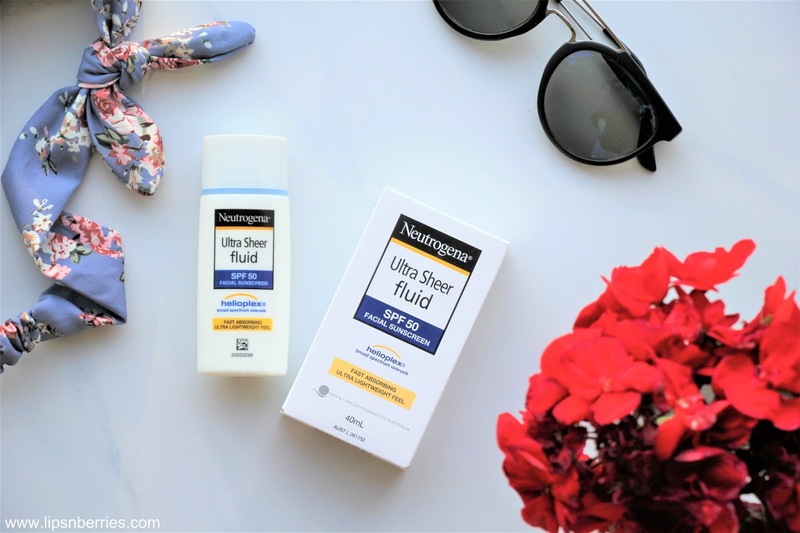 This Neutrogena sunscreen is definitely going to be my sunscreen of choice for the day events and weddings, when I need to pile on makeup layers but don't want to compromise on sun protection, which to be honest I have not been very good at. My skin in India used to be so clear and blemish free. NZ sun and lack of ozone layer has wrecked havoc. Not that it makes me any less awesome but there are definitely way more sun spots that I can see on my bare skin. This year I have consciously started to take better care of my face because skin-aging caused by sun is almost irreversible. So finding a sunscreen that is light and non sticky is godsend! 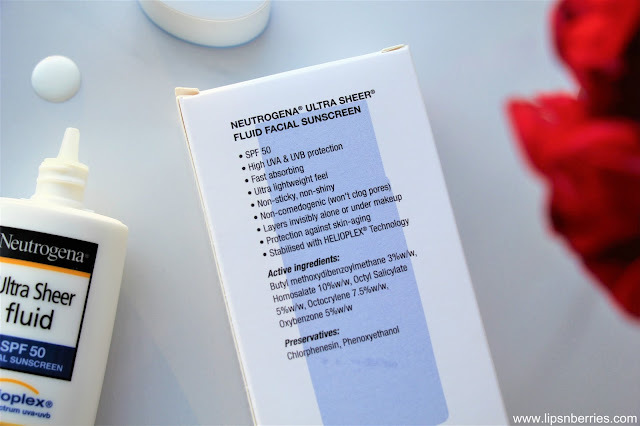 Do I recommend this Neutrogena Ultra Sheer Fluid Facial Sunscreen? Yes! If you're looking for a face specific sunscreen that can be used under makeup, this one is the best I've used till date. Do note that this sunscreen is not waterproof. It retails for $22 NZD for a 40 ml screw top bottle, which is very travel friendly.